The first thing I do when I get home after a long day at work is thoroughly remove my makeup and cleanse my skin. At the moment I have four different types of makeup removers on rotation, all from different brands and price points. While you certainly don't need four different kinds of makeup remover and I do plan on paring it down to only one or two in the future, it's nice to have a variety. The Shiseido Benefique Hot Cleansing Gel* is a very unique formula. It's a thick floral-scented gel that warms upon contact with the skin. I rub a generous dollop of gel on dry skin, avoiding the eye area, and then proceed to rinse with water. 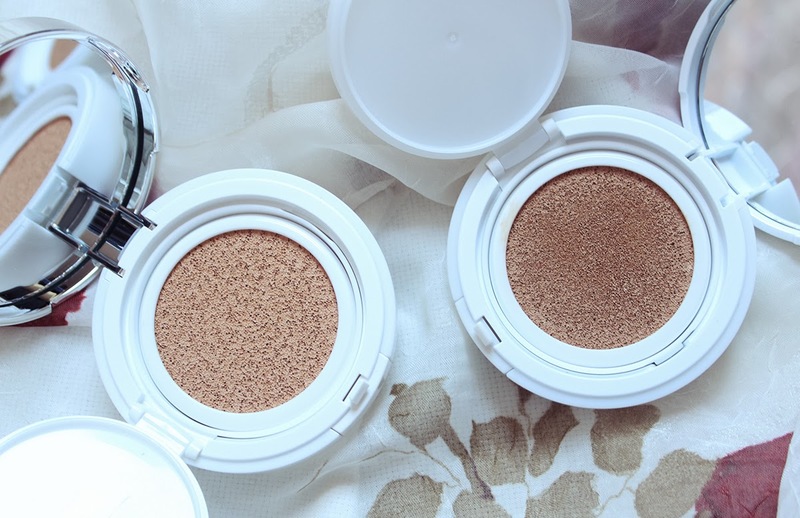 It doesn't feel like it removes makeup but it does a good job of taking off my base. It's easy to wash off with just water and it doesn't leave any residue on the skin. 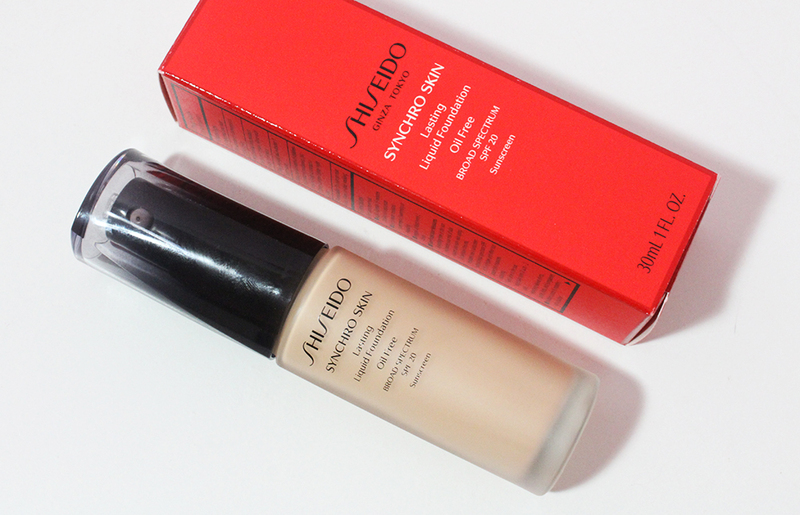 It's a good product but not easily accessible because I believe you can only purchase this at Shiseido boutiques. Cleansing oils will always be my favorite type of remover for when I'm wearing a lot of makeup. Shu Uemura's cleansing oils are one of their star products and I was naturally curious about them for years. The Shu Uemura High Performance Balancing Cleansing Oil is supposedly an advanced version of their original cleansing oil. This oil gets every smidge of makeup off when massaged onto dry skin and emulsifies into a luxuriously milky liquid when mixed with water. One thing I don't love about this oil is the scent. It has a very distinct herbal scent that I don't quite like. That being said, I've used many cleansing oils with lower price points that I feel do just as good of a job at removing makeup so I probably won't rush to repurchase a Shu Uemura oil soon. 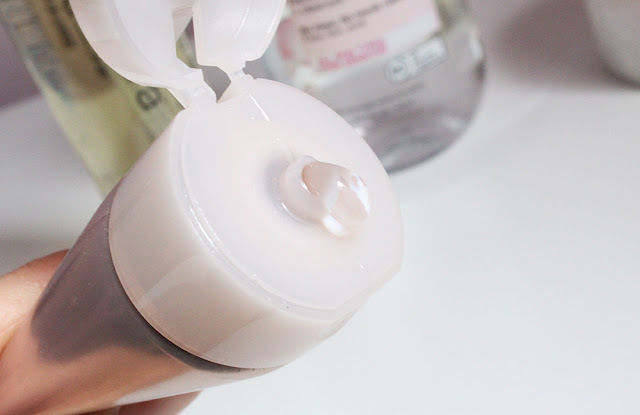 The Garnier Micellar Cleansing Water is my latest purchase and one I was really excited about due to all the rave reviews I had been reading. I'm a big fan of Bioderma's Micellar Water and wouldn't it be nice to have an inexpensive and easily accessible cleansing water? I'm happy to report that the Garnier Micellar Cleansing Water is very good. I like using this on days when I wear light makeup and don't feel like slathering on a heavy oil to remove my makeup. My skin feels clean after using this and it doesn't feel dry or stripped. Surprisingly I can even remove my waterproof mascara with this cleansing water, though I prefer using my usual bi-phase eye makeup remover for that. 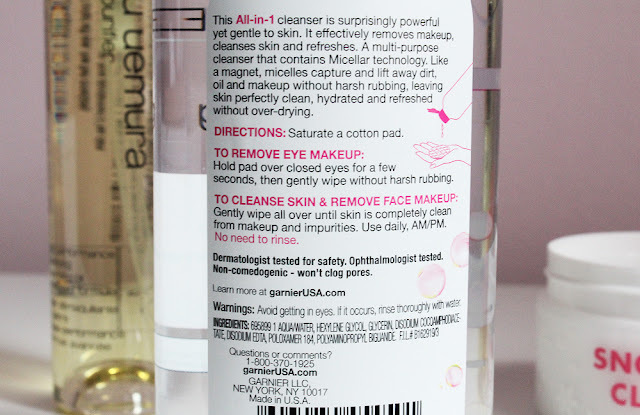 Overall, Garnier has made a great budget makeup remover that I'm quite certain I'll repurchase in the future. Cleansing balms are essentially cleansing oils in solid form but a nice pampering choice for winter months. I'm currently using the Nooni Snowflake Cleanser from Memebox*. It reminds me a lot of The Body Shop's Camomile Sumptuous Cleansing Butter. It has a pleasant fragrance and the balm easily melts into oil when massaged onto skin. It does take a couple of rinses with water to totally emulsify the oil and rinse off completely. At $16 (and Memebox regularly does sales to make this even easier on the wallet), this is an affordable cleansing balm that gets the job done. I would definitely consider repurchasing the Garnier Micellar Cleansing Water again and will likely always have a cleansing oil in my bathroom cabinet. 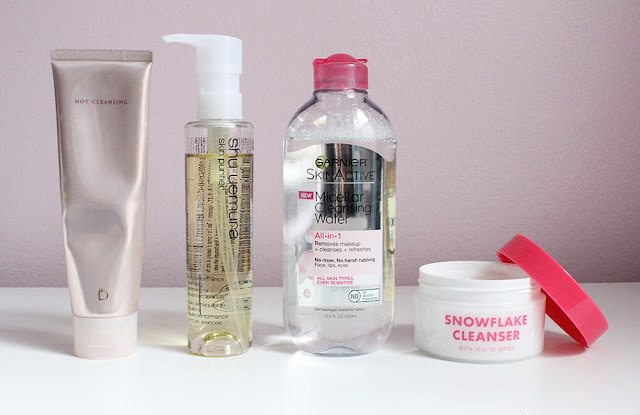 While I like the Shiseido Benefique Hot Cleansing Gel and the Nooni Snowflake Cleanser, I don't love them enough to repurchase. I'm curious about the Emma Hardie Cleansing Balm and I'm always down to try a new cleansing oil. Let me know what makeup removers I should try out!